Fantastic way to organize and save neatly all of the belts earned. My grandson displays on his wall. Had purchased one prior. When filled, he enjoyed so well purchased another. Thank you for providing this item. I looked at several belt displays for both my son and daughter. All of the other displays had generic characters/pictures, had cheap looking flags, or had poor construction. The personalized names are a great addition for no extra charge. The bands holding the belts are a little tight and required a work to get the belts to fit. However, it does look very professional compared to other belt displays I purchased in the past. This is a great display for the price and I have recommended it to other students at the Tae Kwon Do school. Bought this for my 9 yr old niece's birthday. She's a budding taekwondo artist and the display absolutely thrilled her! Now she has a way to show off her belt accomplishments. 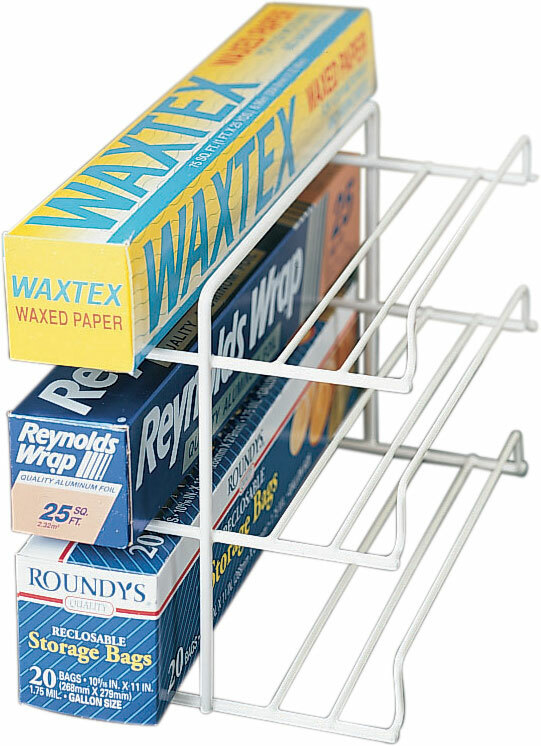 Good value for the money, nice appearance - I highly recommend this belt rack. My daughter and my neices all do Tae-kwon-do which only has 6 belts so this was absolutely perfect. Most belt racks are made poorly or cost a fortune. This one is solid wood, personalized and reasonable. I bought 5 of them and told the parents at our class and they all got them too. 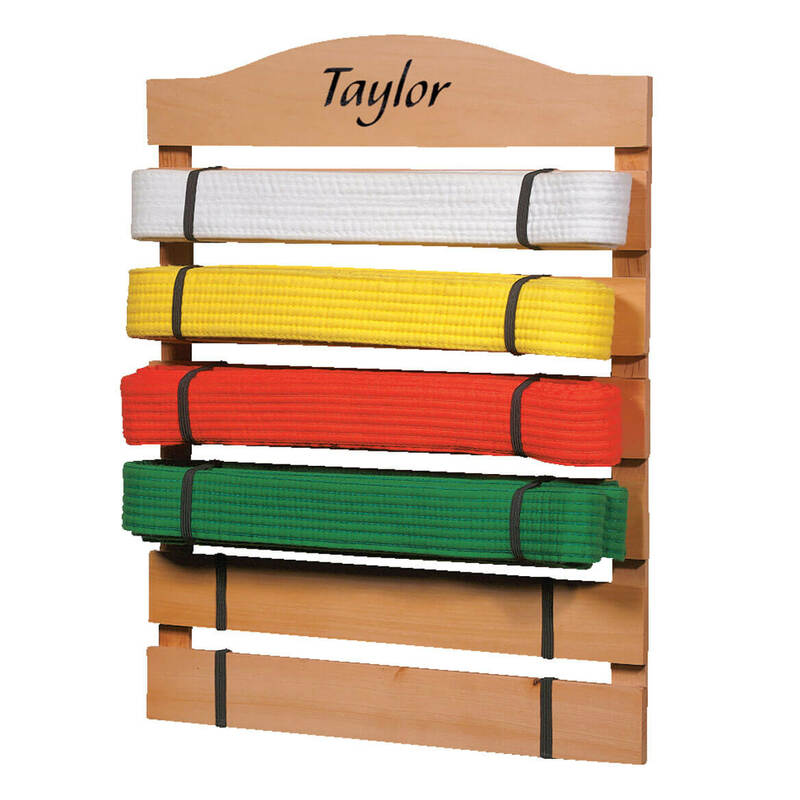 I bought this product to display my daughters karate belts and it works wonderful. I purchased this for my eight-year-old daughter to display her karate belts. She was so excited that it was personalized with her name and has proudly started displaying her belts. It looks very nice hanging on her wall. Excellent quality and a great value. you can't beat the price! I only wish it held 8 belts vs. 6, but for the price we can always purchase another rack! this is for my sons karate belts.it hangs nicely on his wall to show all his belts he has one more to go so he has 2 hanging in his room,he is very proud to show them off. displaying his belts was the best. You won't believe this, but we found our son's original one in the attack a few weeks ago. It's still in fairly good condition except the band's have stretched . We were discussing repairing them somehow, but weren't sure how to go about it. As soon as I saw this item in the catalog I knew this was our answer plus we could get it personalised for him, which his before wasn't. We received it in record time. Now, all we have to do is rewrap his belts and give it to him. I don't know how our son will feel about this, but we are "tickled pink". I have ordered four of these for my niece and nephew. They love to be able to display the belts that they work so hard for. Can't beat this for the price. When I received the product, I was amazed by how nice it was and the personalized name was great! Fast shipping. Great price for a personalized product. I bought two of the karate belt holders for my grandchildren and I know they will love them. Using the racks for both my kids, who are in Tae Kwon Do. I had to purchase a second for each for they are moving up quickly! Looks great with all the belts and their names on them...I have recommended them to our Tae Kwon Do Family! This was a Santa gift and the elves at Miles Kimball not only worked QUICKLY to get the name painted on, but it has that handcrafted look and is really special! It was an easy and smooth transaction! The rack came out beautiful and my kids loved it! I was thrilled with this product! It was exactly what I was looking for, as it was for my 8 year old daughter. When I compared similar products, this was priced the cheapest. So I was a little afraid to get it thinking it will look cheap too. But it was very nice and she loved that it had her name on it to. She does Kempo Karate, so the # of belt holders was perfect for her too. By the time she is older, I could see her getting a case to display them in and not using this holder. Purchased two as gifts for my sons. They have the racks with the belts they earned hanging in their room. It is much better looking than may belt racks which cost 3 or 4 times more. This rack is an amazing idea! I gave these as a gift to my nieces and nephew. Their mother thought they were amazing and the kids loved them. They are a great idea, before this, their belts were in a bag on the closet! Now they can display them proudly! The boys loved the belt rack to display their belts. They are well made and sturdy. Bought this for our six year old grandson who just earned his orange belt. We are so proud of him and this gift will help him display his accomplishments. He's very happy and excited about hanging this in his room for all to see!!! The rack holds my grandson white karate belt. He is working hard to get another belt so he can add the yellow belt to the rack. The Karate Belt Racks I purchased were for my niece and nephew for Christmas. These will be a great keepsake for all their belts they earn in this sport they love so much. The fact that they were personalized with their names was awesome! I bought this for my son to display his belts from Taekwondo. I am giving it to him for Christmas I love it so I think he will love it as well. I really love that it has his name on it. used to display belts and stow gear. Great way to display those belts! I got this for my grandson. He has earned a lot of belts for Karate (he now has his purple belt), and I thought this would make a great way to display them. Once we explained to him what it was, he loved the idea. That it has his name on it was just the icing on the cake. An excellent, unique gift at an affordable price. Can't beat it. Ordering our 2nd belt rack! Going to invert the 2nd rack (ordering plain) to create the look of one 12 belt holder rack. Nice product. loved the belt holder, it is perfect !!! Purchased for a gift. Order arrived quickly and appear to be well made. Loved this product. Christmas gift for my grandson and I know he will love it. Very good workmanship. Purchased for 5 year old grandson, who is taking karate lessons. Will be able to display karate belts, up to six, & be proud of his achievements. Will be hung in his room. This is the perfect gift for my nine-year-old grandson. We're all proud of his commitment to his lessons and this is a great way to make visible his advancement from belt to belt. I'm sure I'll be purchasing more of these display racks. Bought one for my grandson a couple of years ago for Christmas. He loved it, and has it hanging in his room. His mom says he filled it up, and needs another one. His little brother now needs one, too. Guess I'll be buying 2 more! These are great, and a perfect way to display their belts. Genius! Well-made, good quality, nicely personalised. I can think of nothing negative, these are perfect! This is my third belt rack purchase. Purchase #1 was for my grandson's belts and I had his name imprinted on it. Purchase #2 was for my grandson's additional belts. I did not personalize that one and we placed it upside down lining it below the first rack for the additional belts. Purchase #3 was for my granddaughter who needed one now that she has her 1st in a series of karate belts. I personalized this one for her. They are all great and look nice on the wall for their belts!! sturdy and well made for the price. I purchased two Karate Belt Racks for my grandson so that as he progresses he will have enough room to display all his belts. Gave to my 6 yr old Grandson 2 yr ago. He has filled it and is ready for a new one. It hangs on his bedroom wall and he proudly shows it off. Loves this ! My daughter no longer stores her belts in a bag. She now proudly displays them on her bedroom wall. She is now determined to get her black belt in Taekwando. This was a gift for my niece and love it. Child needs a display for belts. Nicely displays belts; good quality. I love the price and the ability to personalize it! Have identical Karate Belt Rack and needed an additional one to display more belts earned. We loved the first rack we bought. She just kept getting more belts, so we ordered a 2nd one! Great way to showcase their ranking! Grandson has been in karate for many years, and has always wanted a place to put his belts. His mom says he will be excited. Our grandson will love to display his belts. I wanted a "brag" belt rack for my grandson. from each level. We are very proud of them. I have another grandchild who will take lessons when she is old enough. For grand daughters karate belts. My grandson takes Karate and just throws his belts in his drawer. This looks very nice. He will be able to display his belts and be proud of them. Our Grandson has been doing Karate for several months and is up to orange belt (I think). This will be a great way for him to show off his accomplishments. I have a great grandson who is into Karate....this is perfect for his belts. 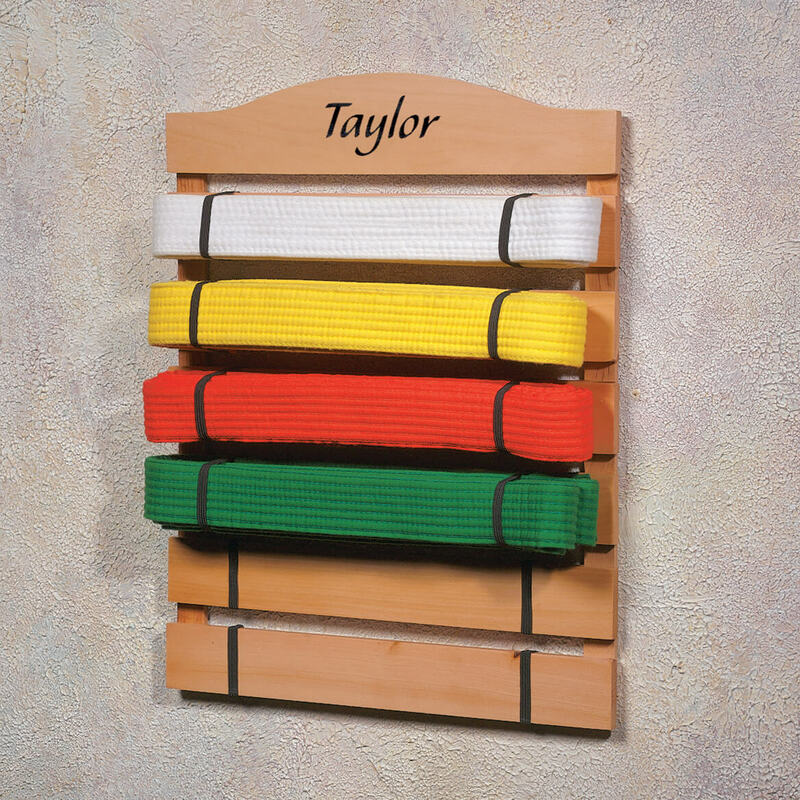 I choose this item because my daughter just received her 2nd belt in karate and we wanted a way to save and display the belts as she moves through the different levels. I LOVE that this able to be personalized! I can't wait to surprise her with this and tell her friends about it at the studio! I'm proud of my 8 year old great-nephew who just became a new Jr Black Belt! Now he'll have this beautiful, personalized rack to display his belts!! He's going to love it! Grand daughter is in Karate, is earning belts. Most reasonably priced ckecking internet. Both granddaughters are in Karate, This would be great way to keep their belts up and show how proud we are of them. They will please the people I purchased them for. Unique. These are for my grandsons who are already working on earning their third belt in karate. 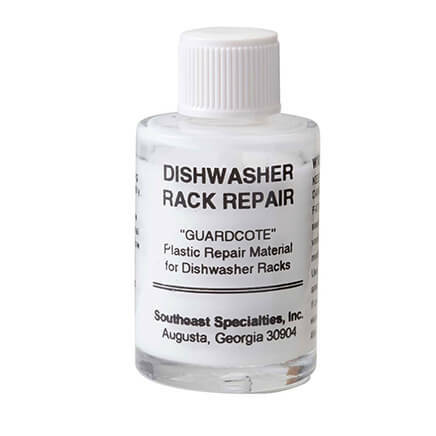 This will help them stay organized and keep their earlier belts clean and out of the way. My grandson takes taekawando and needs a pace for his belts. Grandson is taking Tae Kwon Do lessons and has received his second belt. Needed to display his first belt somewhere. Have one....needed another. Wish you made them for 8 belts. My granddaughter asked for this, she has her belts just in the drawer. I'm glad she wants to display her belts representing her hard work. My godson does karate and thos is perfect for him! Needed one to give our son a place to contain his belts. My grandson loved the one I got him for Christmas last year. He now has more belts than this rack holds. Solution? Buy him another one! He loved it. Is the personalized karate belt rack going to become available again? BEST ANSWER: Thank you for your question. Unfortunately, this item has sold out for the Holiday season. We suggest checking back regarding this item next Holiday season. We hope this information will be of help to you. Why only available holiday season? I found this on Amazon but will not let me add to my cart, why? Where do I add this katate belt rack to my cart? BEST ANSWER: Thank you for your question. This item is currently not available for sale. Please continue to check back as we do not have an in stock date available form the supplier. We hope this information will be of help to you. Is the personalization achieved with stickers or is it engraved? BEST ANSWER: The personalization is not engraved or wood-burned into the wood. It appears to be "painted" on or could be applied via a type of vinyl-transfer. Regardless of how the personalization has been applied, this resultant personalization is stylish and appears to be quite secure/durable. Thank you for your question. The personalization is painted on. We hope this information will be of help to you. I need -1 letters for name-Christopher. Can u do it? BEST ANSWER: Thank you for your question. We unfortunately can not personalize more than the limit. We apologize for any inconvenience.